Enjoy this sweet treat for fall with less fuss! 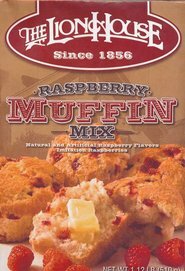 This Lehi Roller Mills mix bakes up quick and delicious! 32oz. For that earthy, sweet and buttery taste of pumpkin combined with our already delicious Chocolate Chip Cookie Mix, we’ve created a Pumpkin Chocolate Chip Cookie Mix that’s simply scrumptious. Every bite comes with only our highest-quality ingredients to deliver a treat full of flavor you won’t find in any other cookie mix. 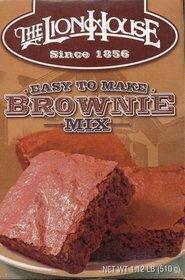 INGREDIENTS: Bleached Enriched Flour (Wheat Flour, Niacin, Reduced Iron, Thiamine Mononitrate, Riboflavin, Folic Acid), Sugar, Brown Sugar, Chocolate Chips [Sugar, Chocolate Liquor, Cocoa Butter, Soy Lecithin (Emulsifier), Vanillin (an artificial flavor)], Spices (Nutmeg, Cinnamon, Ginger, Cloves), Pumpkin Powder (Dried Pumpkin, Maltodextrin, Lecithin), Cinnamon, Sodium Bicarbonate, Baking Powder, Salt. Made on equipment that also makes products containing egg ingredients. Fabric design and color varies. In the early 1900’s the Lehi Roller Mill and Elevator Company served local farmers around Lehi, Utah. In 1905, its shareholders invested $20,000 in what would become the Lehi Roller Mills. The new mill, which boasted the most modern equipment of the time, turned out its first flour in April 1906. Four years later, George G. Robinson purchased the Lehi Roller Mills and a family tradition of consistent, dependable milling was born. Within three years, George G. began an extensive modernization project as the demands for flour continued to increase. 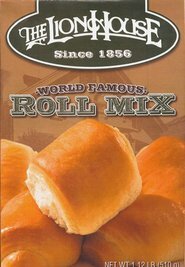 By 1925, Lehi Roller Mills was delivering flour by the carload to bakeries and dealers in Salt Lake City and California. When George G. Robinson died in 1936, his son, Sherman D. Robinson took charge of the mill until 1980. Today, his son (George G.’s grandson) R. Sherman Robinson is the Owner/President. Under his direction, production capabilities have expanded, a new warehouse has been built, a state-of-the-art mix plant has been installed, and new product lines have been created. Today, Lehi Roller Mills is still evolving. Equipment upgrades are consistent and innovative processes are introduced on an on-going basis. However, the philosophy is still the same: “Only the best wheat makes the best flour.” The care we put into every bag we produce has not changed since 1906. So easy and so amazingly yummy! When we first made it, we actually burnt them, like the bottoms were black but we still ate them and they didn't taste burned at all they were still so fluffy and soft! I always get Lehi Roller Mills pumpkin chocolate chip mix because it is so good and I am never disappointed! So happy they sell it at DB now!